The Computer Weekly Developer Network and Open Source Insider blog columns seek to uncover some of the most vibrant projects gaining traction and interest on GitHub through 2019 and onwards. 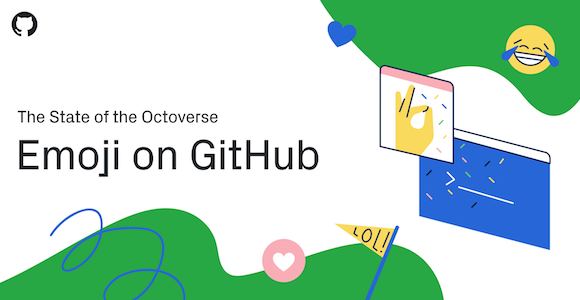 As many readers will know, GitHub is a web-based version-control and collaboration platform for software developers. Microsoft, the biggest single contributor to GitHub, initiated an acquisition of GitHub for $7.5 billion in June, 2018. GitHub’s roots are firmly placed in open source, it was founded on Git, an open source code management system created by Linus Torvalds. But before we start to look at individual tools and projects, let’s dip more generally into the kinds of activities currently playing out on the site itself. GitHub’s own end of year message notes that developers can now express themselves on the site in their preferred medium: words, code, or tiny cartoon images (emojis, even) if they choose. In 2016, GitHub released emoji reactions to ‘quiet the noise’ of contentless issue and pull request comments like +1. The GitHub team wanted to get a sense of how its community expresses themselves with emojis and so it looked at which ones they use in (and in reaction to) issue and pull request comments over the last year. Expressions of approval and celebration make up the most of the reactions. In fact, users are giving the  and celebrating with a  more than anything else. “Looking at projects tagged with a primary programming language, we can see which emoji language communities use most. Comments in Ruby projects had the most ❤️s, and C# users are casting nearly double the s as any other group,” notes the team. Beyond programming communities, geographic trends demonstrate how far some emoji reach. No matter their location, developers react to build consensus and to say, “job well done”. Zooming in, Japan spread positivity by reacting with more s and ❤️s per user than any other country. And developers in the Czech Republic have something to celebrate. They reacted with the most s on average. “Five emoji could never fully represent the complexity of human emotion. When a  isn’t enthusiastic enough, you often post a . In the last 12 months, the GitHub community created almost 10,000+ issue comments containing no other content but this tiny craft. That’s a lot of warp-speed shipping,” notes the team. To learn more about the numbers and methodologies, check out this year’s Octoverse report.